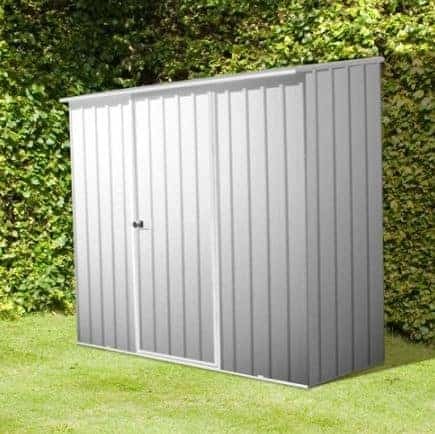 If space in your garden is an issue, this 7.5 x 5 metal shed is a good option. 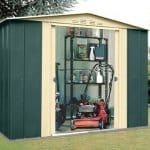 It uses BlueScope Steel, which has a titanium finish. 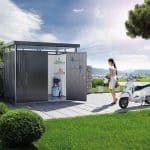 This brings massive protection against rust. 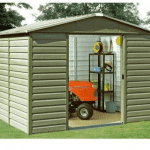 The shed benefits from a 20 year anti rust guarantee. 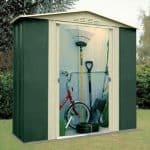 Surprisingly tall, you can easily store taller and more bulky equipment in the shed. 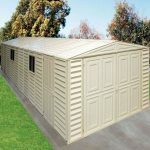 The pent roof allows for quick run off of rainwater, which adds even more value to the anti-rust guarantee. 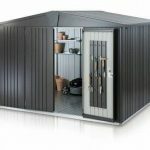 The building is made to withstand strong weather conditions, and you will find that it is very tough, and a pleasing addition to your garden.